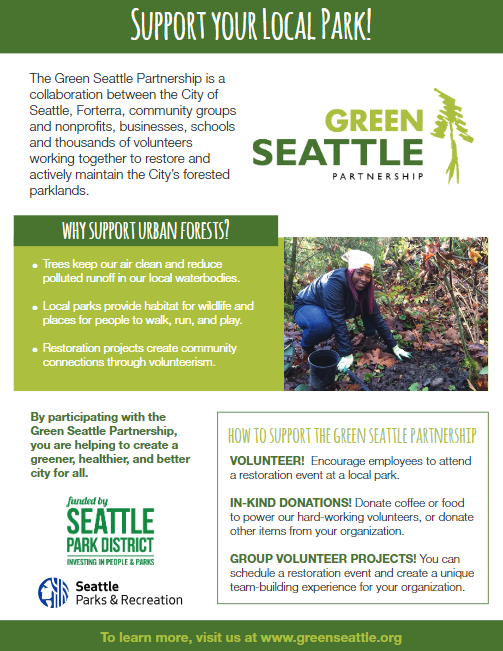 One of the most important aspects of the Green Seattle Partnership is bringing communities together to restore our public spaces. These events bring neighbors together from all walks of life to work toward the goal of greening the city. 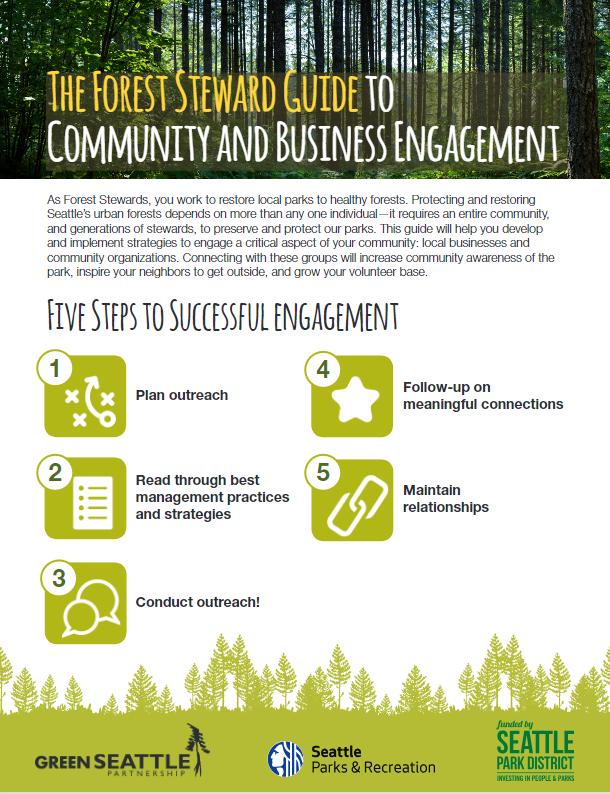 As Forest Stewards, there are several ways to get your neighbors involved in restoring your park. Two important groups that are very connected to your community are local businesses and community organizations. These groups can help build your volunteer base, promote a healthier and cleaner forest, coordinate group volunteer efforts, and provide donations for your restoration events. Go, have fun, and create community connections! The entire neighborhood benefits from a healthier, cleaner, and safer local park.